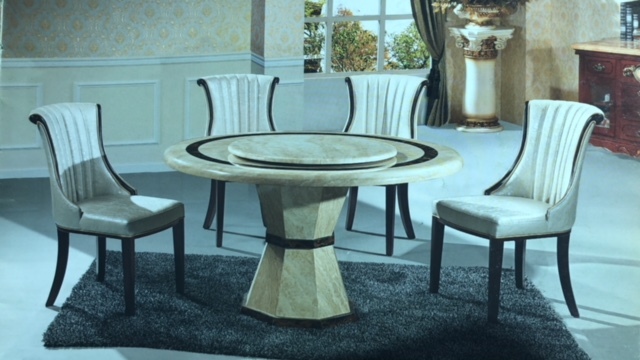 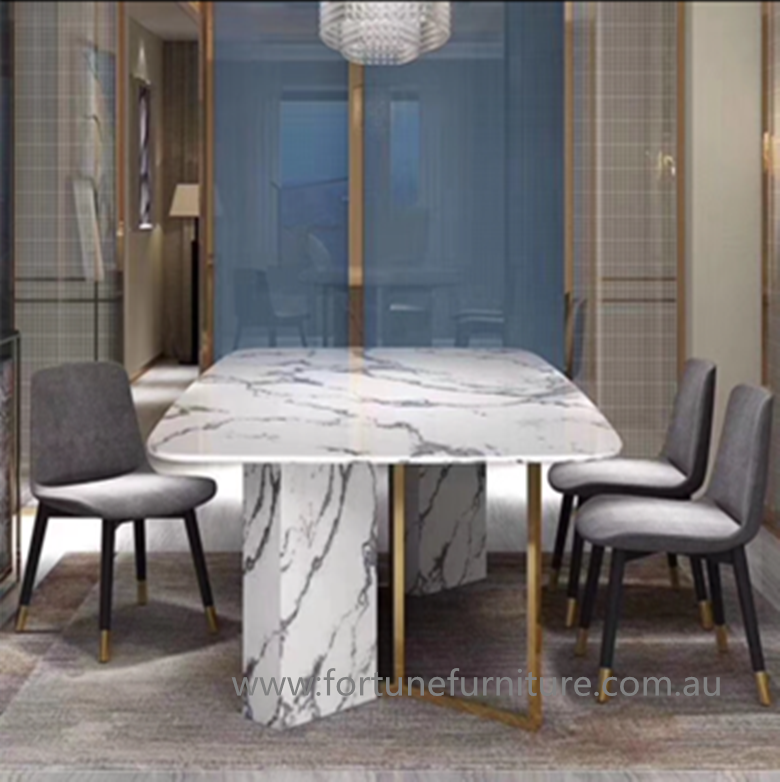 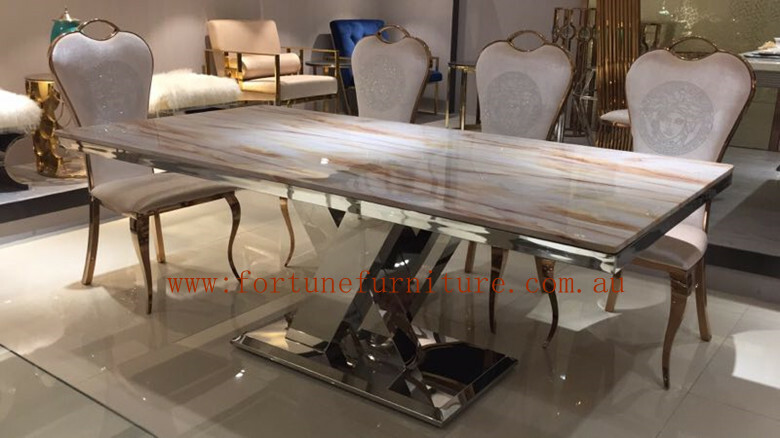 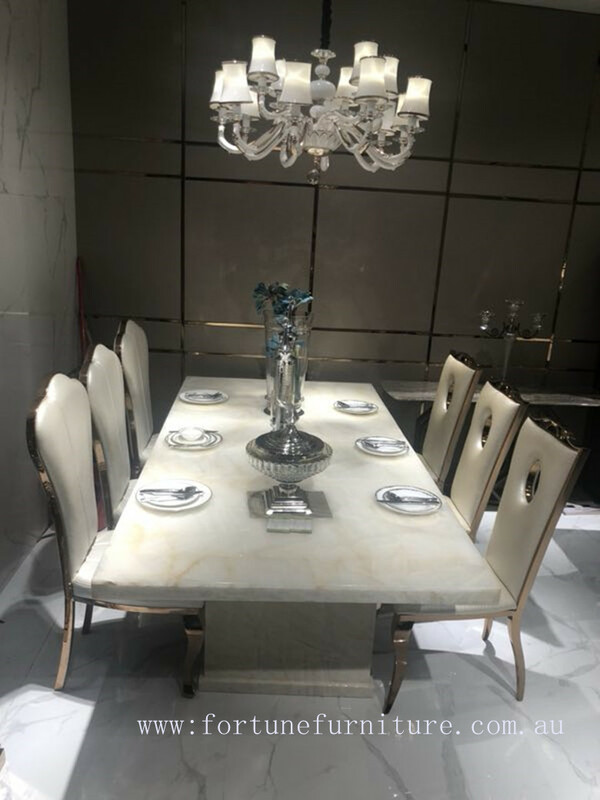 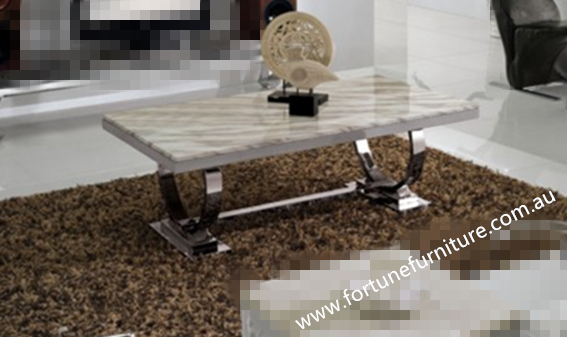 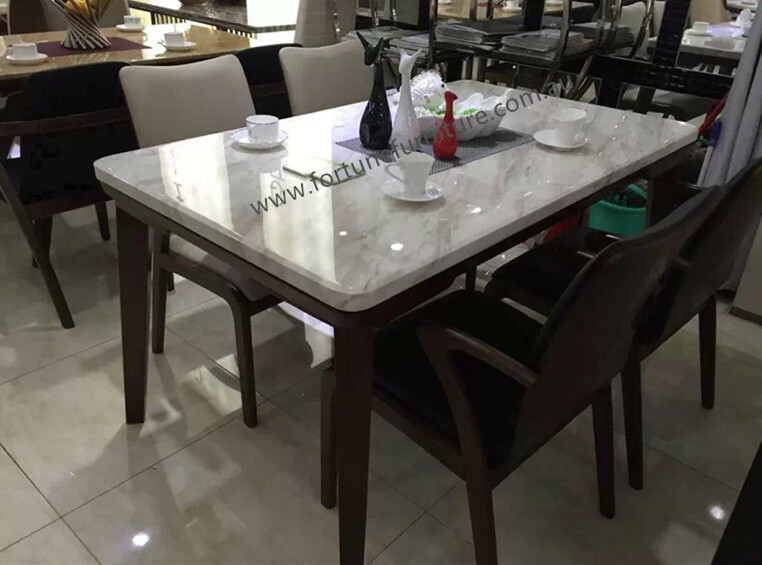 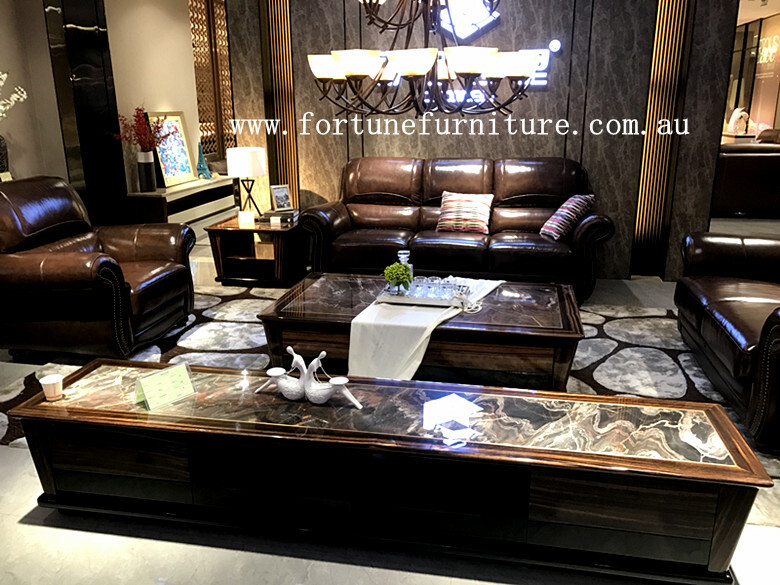 Add a striking element to your dining room with the Shirly Rectangular Dining Table.The Shirly,Natural Marble(onyx) Dining Table is a must for anyone looking to make a striking furniture statement. 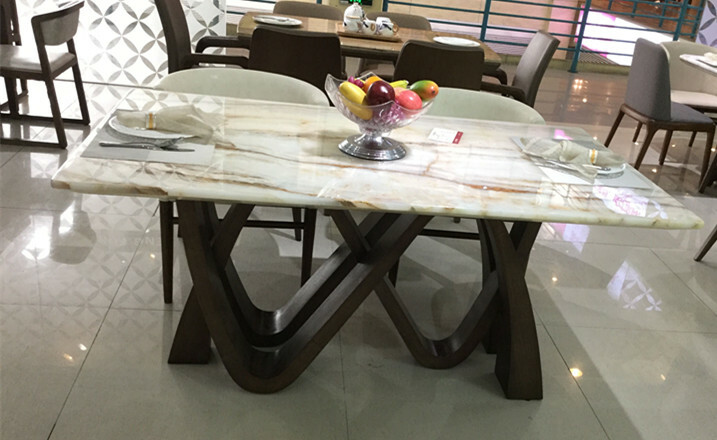 Marble construction ensures this bold feature will be impressing guests, while bold, sharp lines blend seamlessly into any dining room setup. 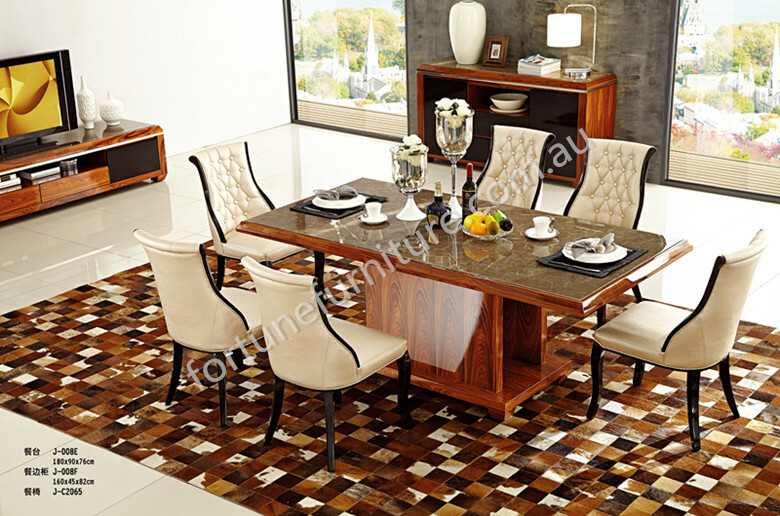 Bring your dining room to life and create a style statement with the Benlida 7 Piece Dining Suite. 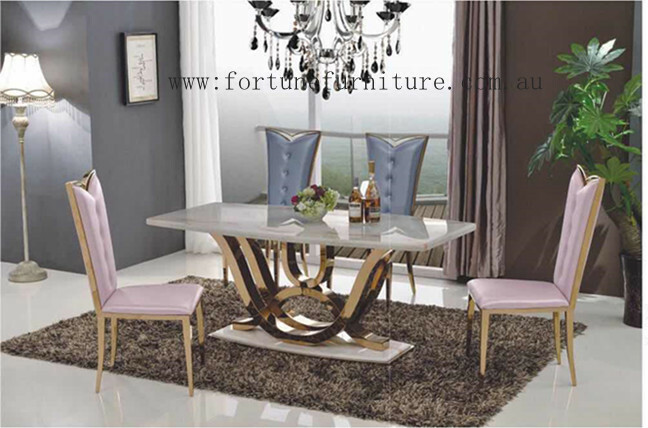 A classic design is given a burst of modern flare that will brighten up any home. 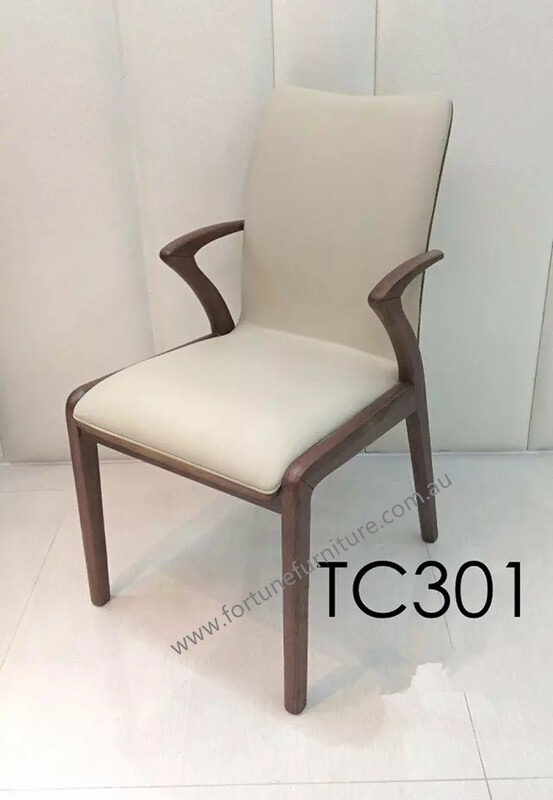 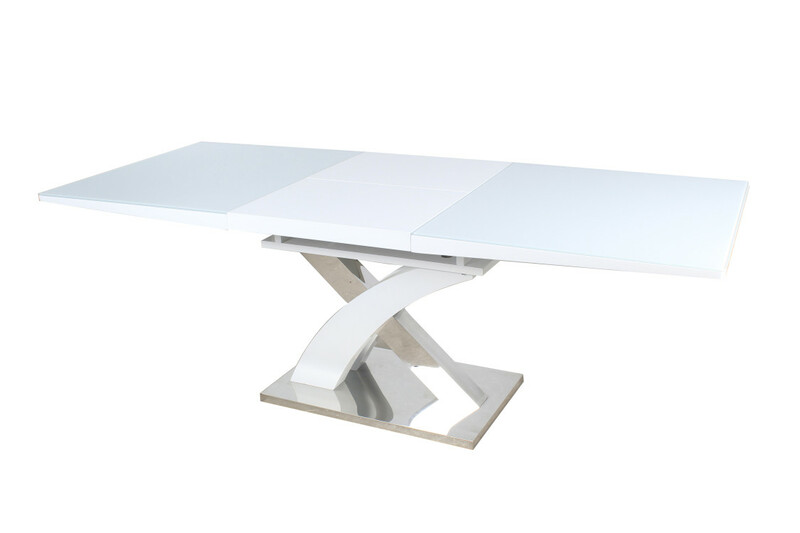 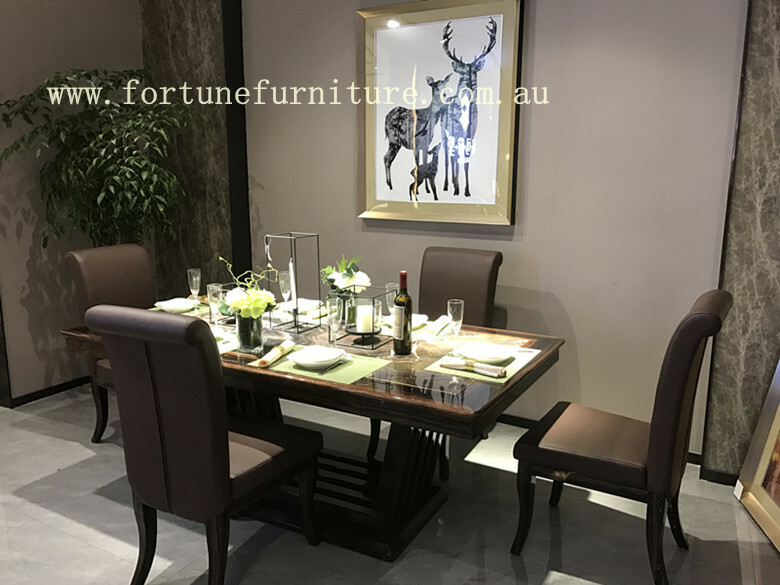 It’s a glossy white MDF with a very strong and elegant chanel legs while the upholstered chairs have stainless steel legs in a modern design. 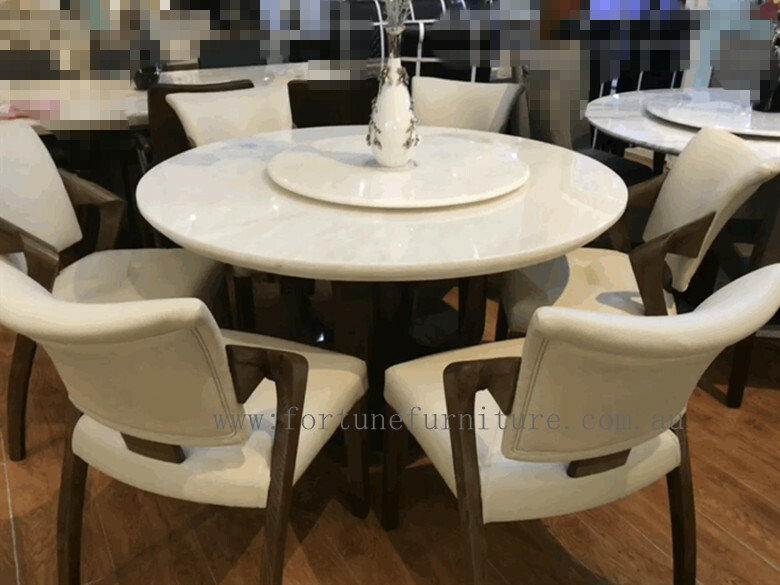 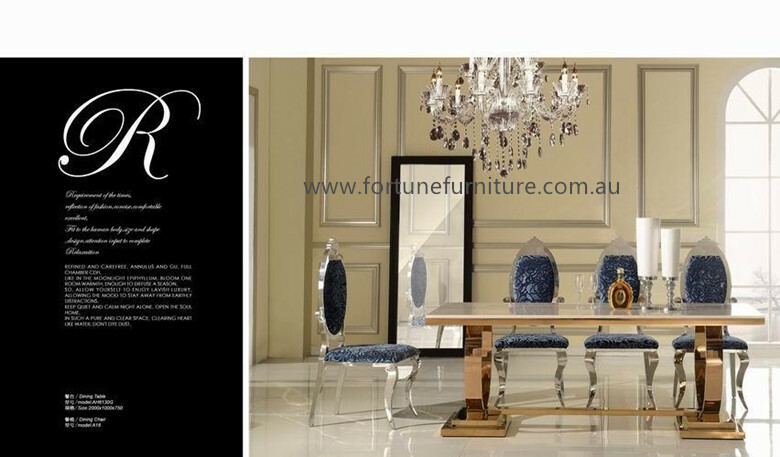 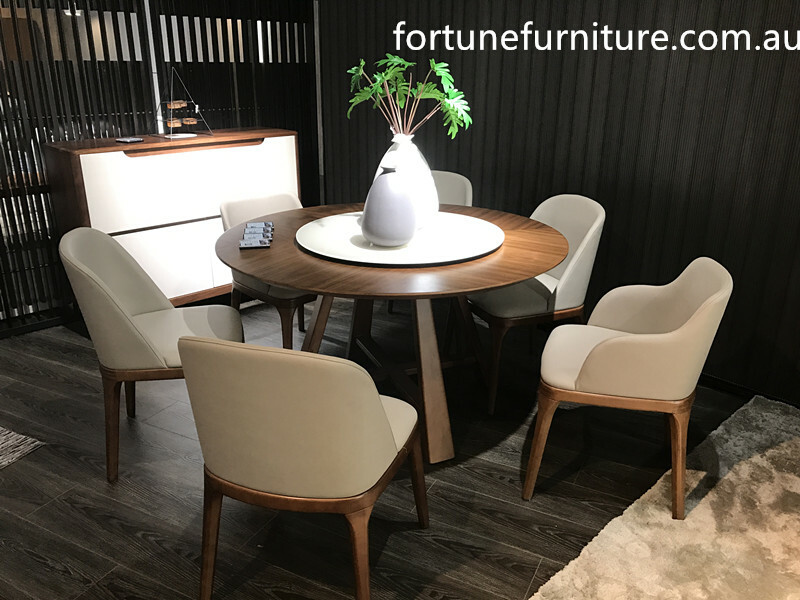 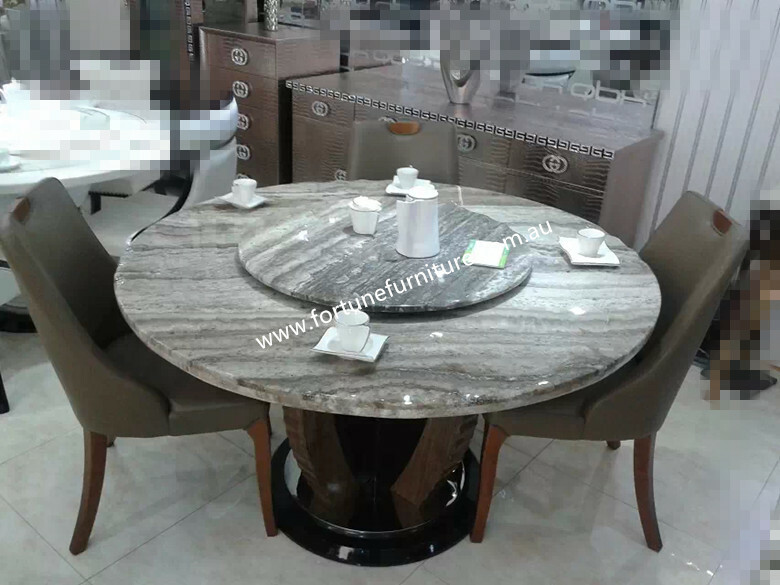 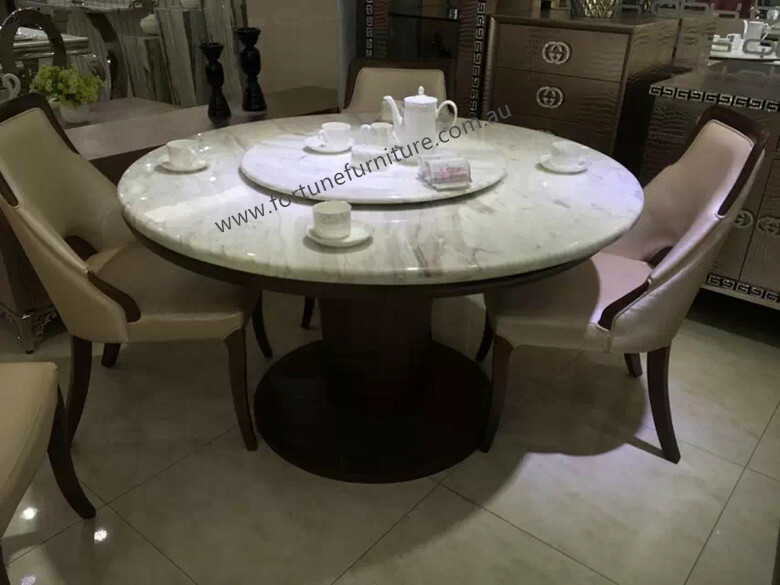 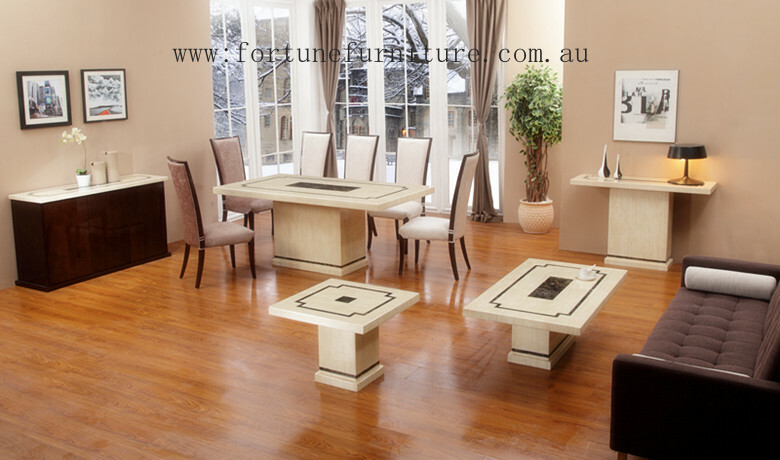 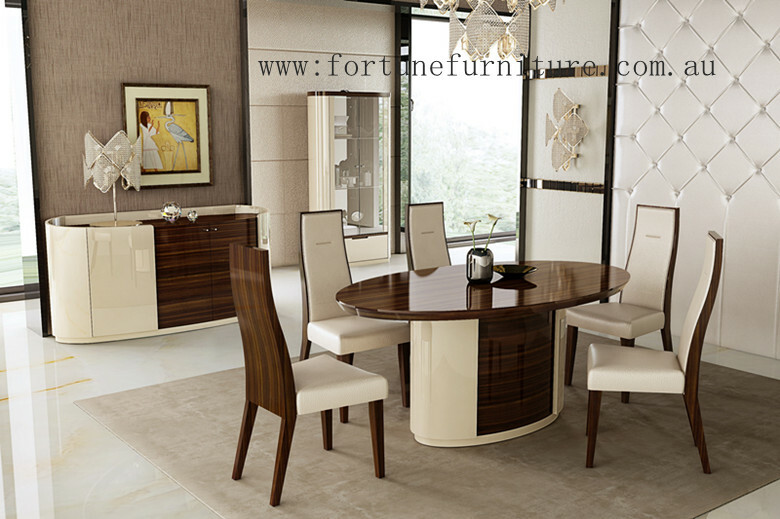 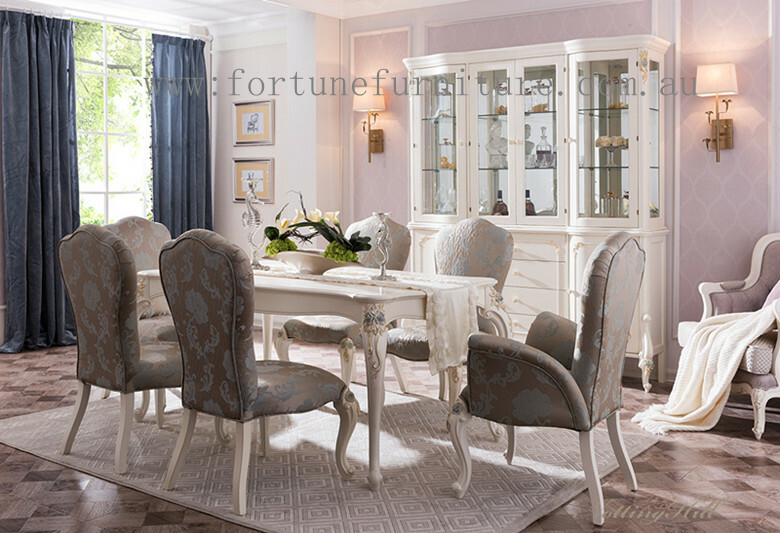 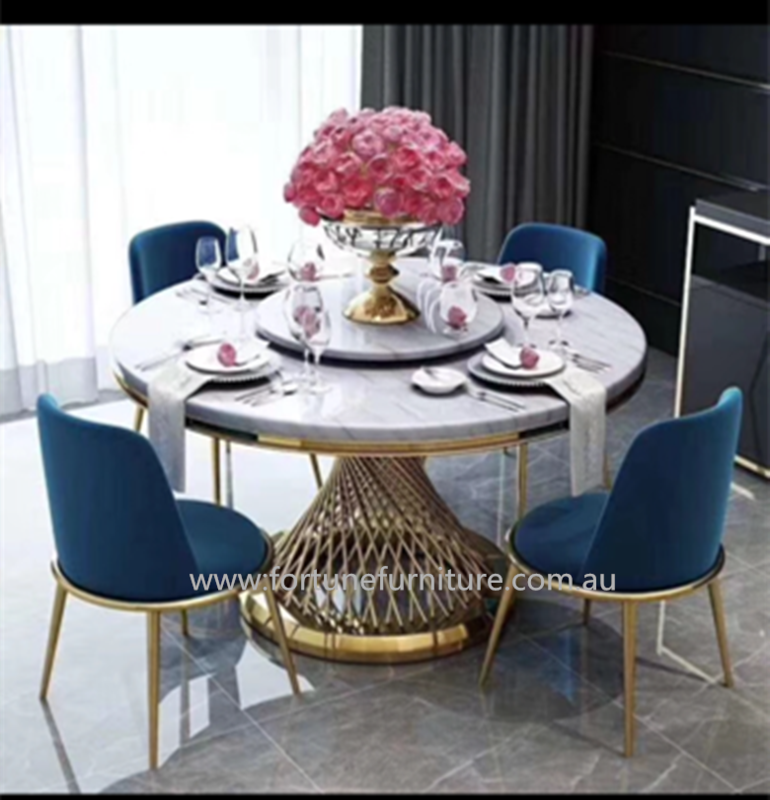 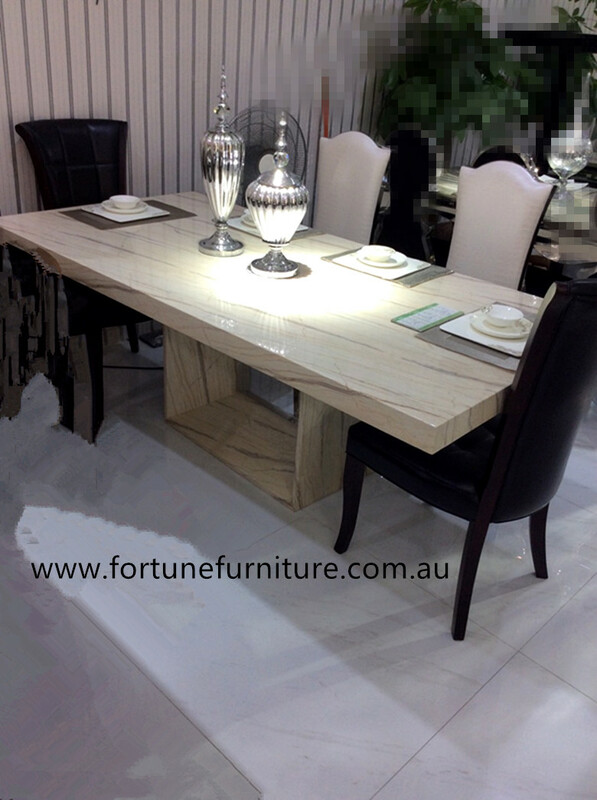 A beautiful modern dining table with a marble and timber base with a strong and comfortable Dining Chairs.